No list of retro enduros is complete without the noble Yamaha XT 600. Manufactured for almost two decades until 2003, it ticks all the important boxes: basic, versatile and reliable. But what if you’re not looking for a trail weapon per se? 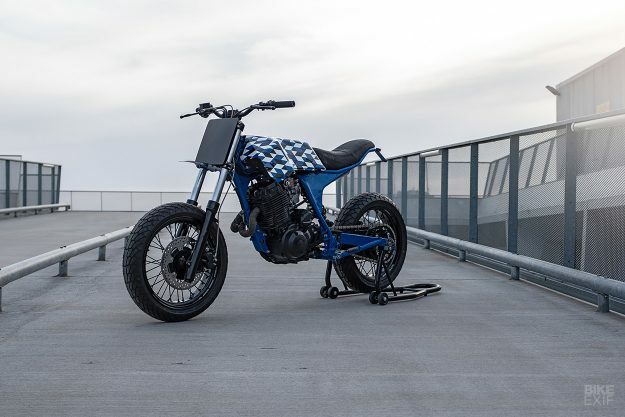 The XT 600 makes a pretty rad supermoto too, if executed just right. 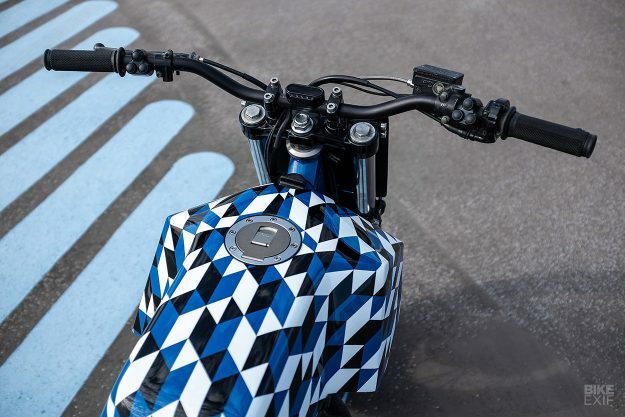 And Walid, from Parisian shop Bad Winners, sure knows how to design a motorcycle. The Yamaha in question was a 1991-model XT 600 E with a mere 13,000 km on the dial. And since it belonged to a client, Walid had previously serviced it—so he knew it was in good nick. With no fix-ups needed, he could move right on to the fun stuff. But first, he had to take the XT’s stance from trail bike to street thrasher. On went a set of 17” Excel hoops, laced up to the original Yamaha hubs, and now wrapped in Dunlop’s Sportmax Mutant supermoto tires. The Yamaha’s OEM Nissin brakes were deemed good enough, so they were simply upgraded with stainless steel lines. Moving to the suspension, Walid trimmed 80 mm off the front forks, and equipped them with stiffer springs. 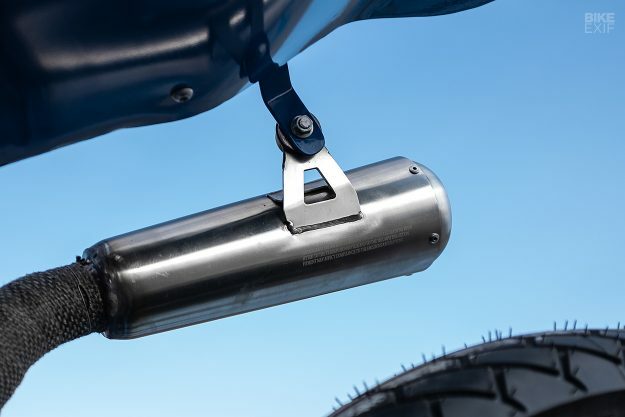 The rear was upgraded with a new YSS shock, also with a harder-than-stock spring. “I didn’t want to have a smooth trail bike,” was Walid’s reasoning. Even though the motor’s internals were left alone, it was treated to a new coat of black. 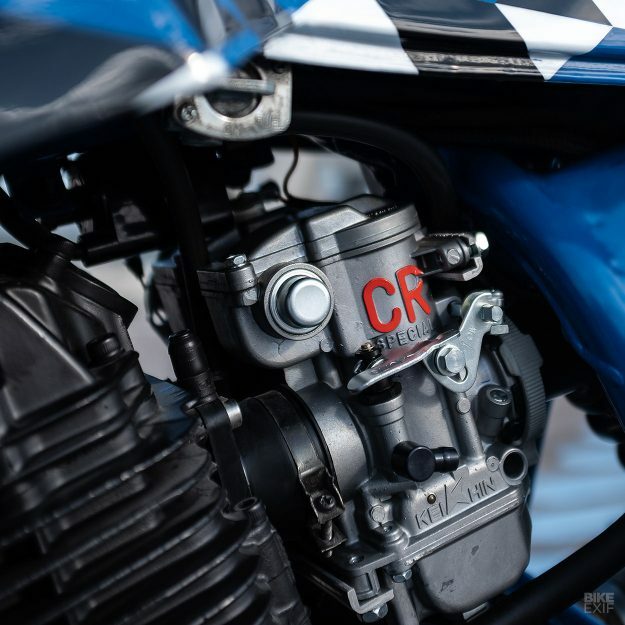 Two Keihin CR35 carbs were installed, along with open filters to replace the old air box. 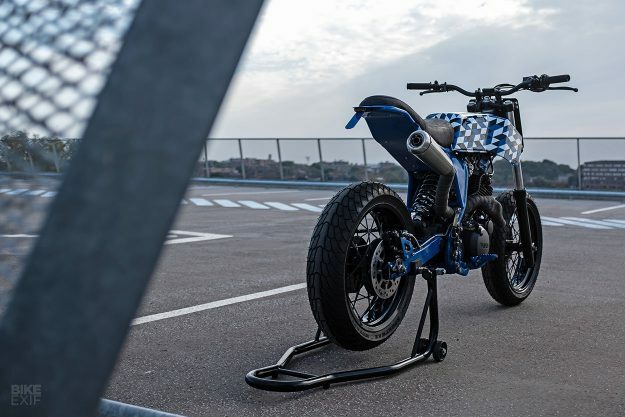 Cosmetically, the XT 600 shed all of its stock bodywork. 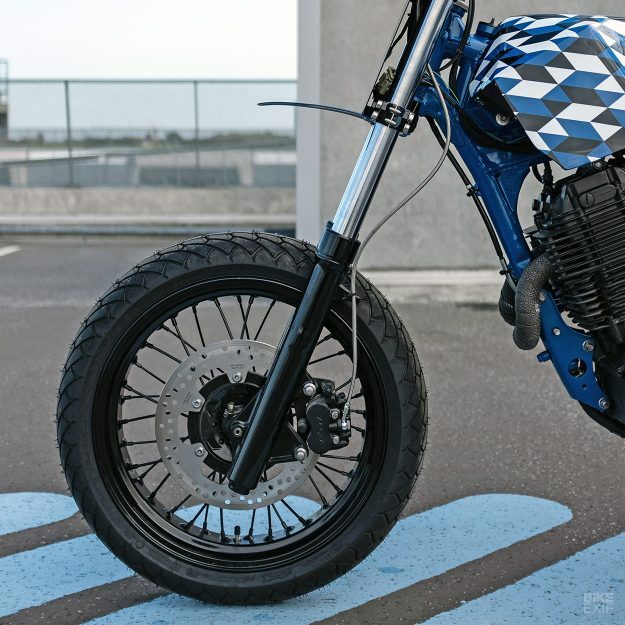 Walid retrofitted the fuel tank from a Yamaha RD250, and fabricated a set of ‘shoulders’ to drastically alter its shape. They’re functional too; each side is covered with a mesh screen in front, with stealthy LED headlights and turn signals hiding inside. The fuel tank’s capped off with a Yamaha XJR1300 gas cap. 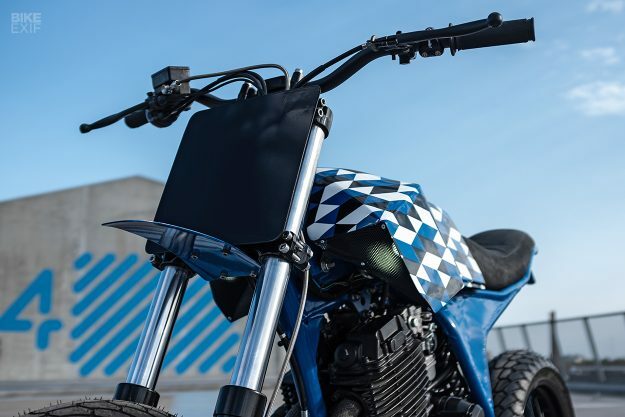 The XT’s tail section received an equally radical reworking. Rather than a simple cut-n-loop job, Walid ditched the entire subframe and started from scratch. 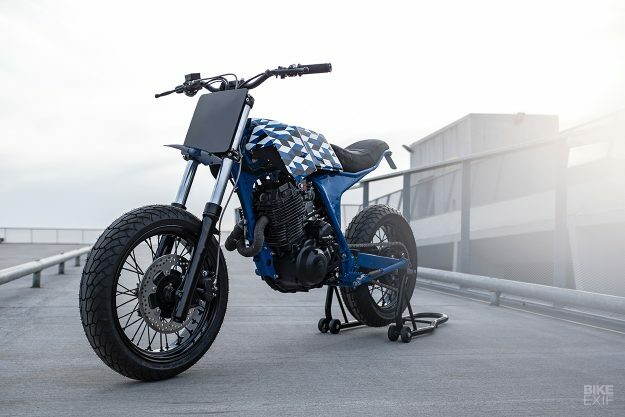 The new arrangement cuts a much more aggressive contour, with side panels and abrupt rear fender that are welded on rather than bolted on. It’s a curious move, but Walid tells us he simply wanted as few bolts visible as possible. There’s a new leather-covered seat up top, and a neat compartment underneath for electronics. In there, you’ll find a small Lithium-ion battery, and a new loom built around a Motogadget m.unit control box. 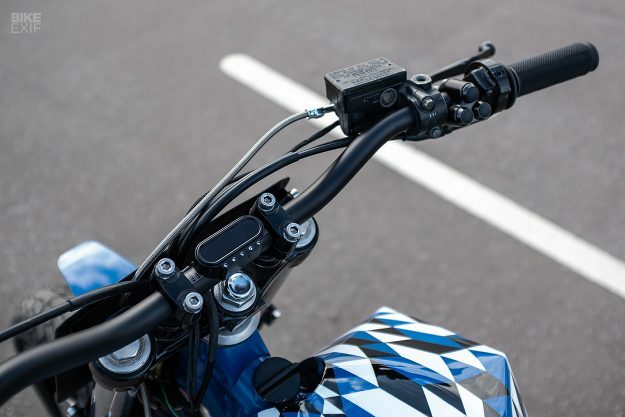 The cockpit features Renthal bars and grips, Motone switches, and a teeny tiny Motogadget speedo mounted up on the bars. The front’s finished off with a custom-made number board and fender combo. 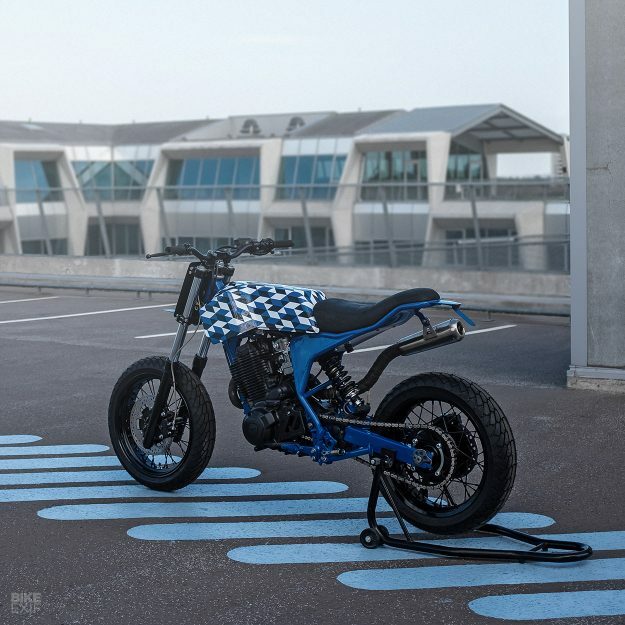 No supermotard is complete without some bright coloring—and no Bad Winners bike is complete without a sharp livery. Walid originally wanted to use a similar design to one of his previous builds, but when he couldn’t make it fit the tank contours, he started playing around with it. Once he’d settled on the dazzling scheme you see here, he handed the tank over to Aerografik to lay it down. The rest of the XT’s parts were finished in either blue or black. 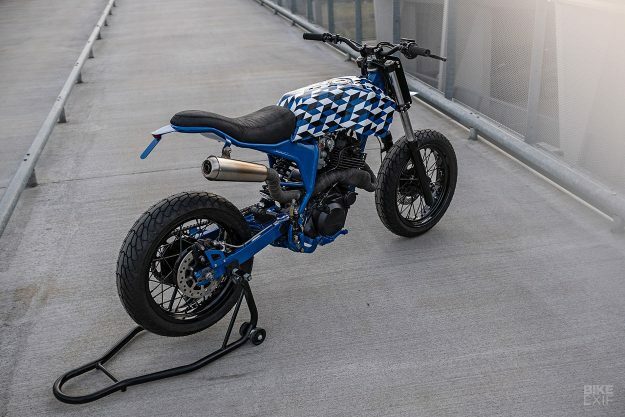 This former trailie now looks fun, aggressive and ready to eat the streets. But even though Walid built it to his taste, he won’t be enjoying it for long. As is the curse with building custom bikes for a living, it’s already for sale. Somebody please buy it before we do.